There’s no time like college to get acquainted with beginners’ DIY projects. 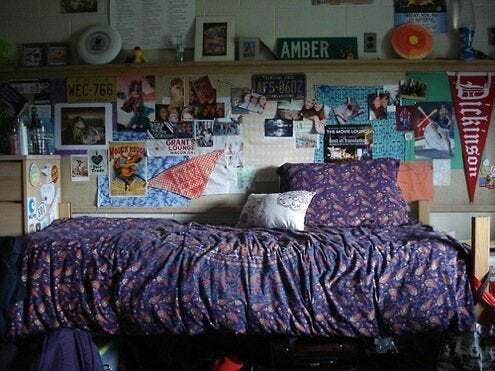 In most on-campus living scenarios, you’re virtually given a blank slate (in the form of a spare or even bare dorm room). People don’t want to feel as if they’re living in borrowed space, least of all during the ‘glory days’ of college, so here are some ideas on how to make yourself at home. The first step is talking to a resident advisor at your school (failing that, try calling the office in charge of student living). Ask specific questions about what you can and cannot alter in your room. If you break the rules, you’re likely to be charged a fee upon moving out. Find out whether you can put holes in the walls to hang frames, for instance, or whether painting is tolerated. The idea is to determine where your creative energy will be spent most responsibly. The quickest, least expensive, and (just maybe) the best way to transform a room is with paint. 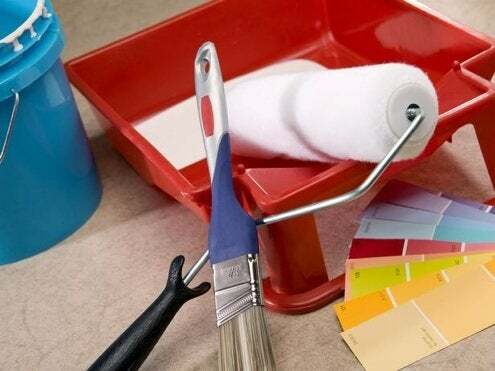 If your dorm allows painting, then you’re well on the way to making the room distinctly yours. Consider painting an accent wall in your bedroom to add interest, or simply coordinate your walls with a favorite color in your bedding. There are lots and lots of possibilities. Just remember you’ll have to live with your choice for eight months! If you’re like most college students, you’ll get to your dorm with too much stuff and too little storage space. Avoid overrunning your shared space by purchasing an under-bed storage box, like the above product from Rubbermaid. Search around—it’s all about finding the perfect container for your room! Small, stacking drawers are great, too; they’re a cheap way to virtually double your room’s storage potential in a hassle-free way. Also, maximize the storage potential of your closet by using its full height. Add a second rod (above or below the existing one) for an additional support on which to hang clothing. Institutes of higher learning tend to skimp on dorm room furniture. You’ll probably get a bed frame, desk, and desk chair—maybe a dresser if you’re lucky. But having a place to sit and relax is a big deal. Luckily, there are many space-saving options out there for lounging. 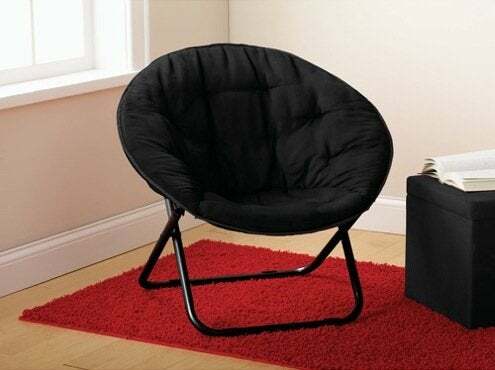 Folding chairs are a beloved staple, and circular models like the above come in a multitude of fabrics and are easily stored. Whether it’s a wall-size map, an evocative beach scene, or a smattering of small flowers, there is surely a stick-on decal to fit your taste and budget. 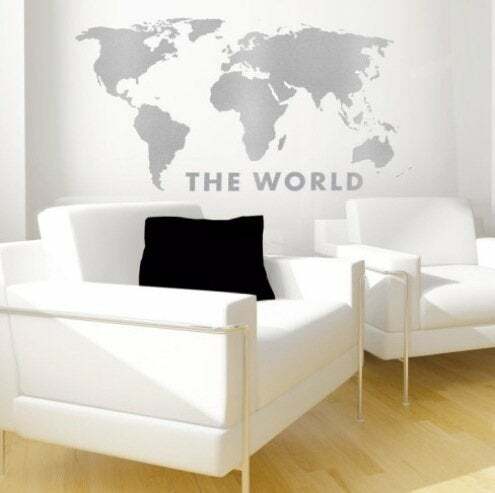 Good places to look for larger-scale wall-transforming decals are IKEA, Target, and online poster retailers (e.g., AllPosters.com). With so many affordable and attractive lighting options, there’s no reason to suffer office building hallway-type lighting all year. 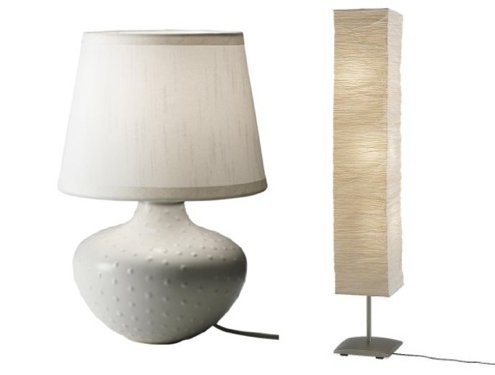 One of my favorite ways to turn a dorm room into a much more welcoming home-away-from-home is indirect lighting. A desk and floor lamp in tandem are much more pleasant than the typical fluorescent overheads found in most dorms. Whether you’re moving into a brand new building or an older, more worn-in dorm, it may take some work to make the place feel like yours, but you won’t have to break the bank, or your back. Simple ideas like these will have you calling your dorm room “home” in no time!